Suicide Squad is lighting the box office on fire as evidenced by an estimated record-breaking opening weekend take of $147 million. That’s enough to easily snag the biggest opening weekend for the month of August – to boot, the Warner Bros./DC Comics title bested the opener for Marvel’s Guardians of the Galaxy (which earned $94 million two years ago). David Ayer’s film is also looking to snag the third best opener of the year – trailing Captain America: Civil War and Batman v Superman: Dawn of Justice. While Suicide Squad faced a difficult week ahead of its national bow – including scathing reviews – the film’s box office take should help take the blow out slightly. The film – which stars Will Smith, Margot Robbie, Jared Leto, Joel Kinnaman, Viola Davis, Jai Courtney, Jay Hernandez, Adewale Akinnuoye-Agbaje, Scott Eastwood, and Cara Delevingne. and features a who’s who gallery of DC Comics’ most iconic villains – may also help soften what’s been a fairly disappointing summer movie season at the box office. 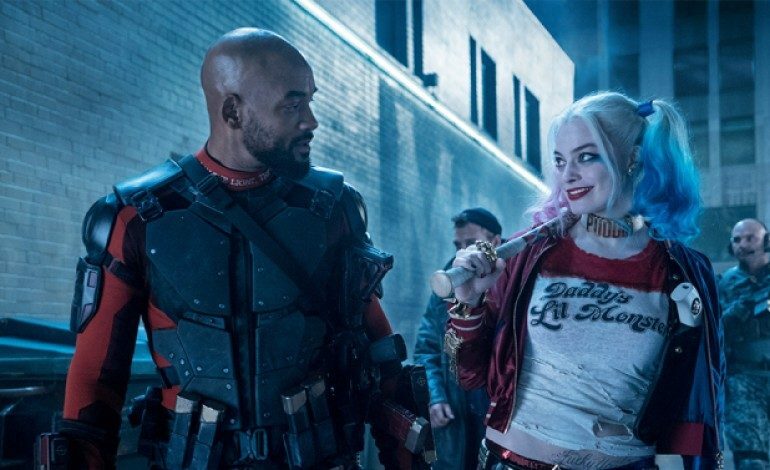 Suicide Squad brought in an estimated $65 million on its first day of release – this includes a strong $20 million earned in Thursday night preview performances.